We live in a fast moving world, and organizations that can effectively innovate are likely to survive and thrive. Yet knowing when to innovate can be challenging. Organizations typically conduct strategic monitoring and planning, which plays a very important role. 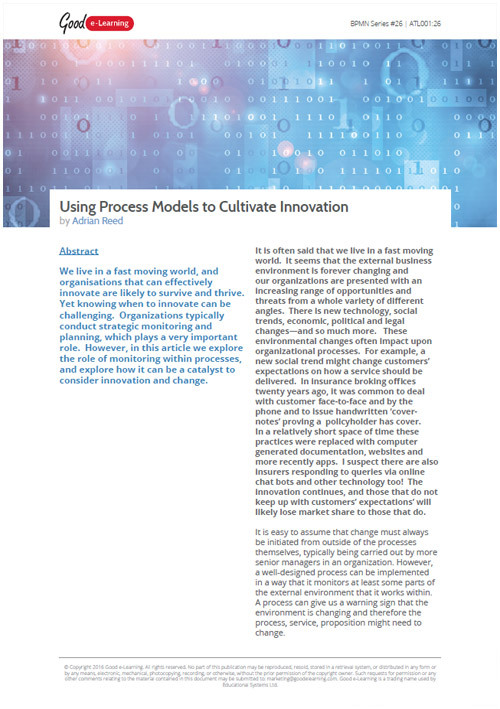 However, in this article we explore the role of monitoring within processes, and explore how it can be a catalyst to consider innovation and change.